Bark 5th Ave has been providing Charlotte area, with top grooming services for more than 10 years. Your Pets Comfort is Our Business! Our staff committed to taking care of you, our client and your pet. Bark 5th Ave is built on professionally trained employees who believe in 100% satisfaction. We are fully staffed to promptly and accurately take care of your pet grooming needs. Bark 5th Ave will work with you to provide your pet with the best grooming service and treatment from bath to haircut, ear cleaning, nail trims, and much more. We are trained professional pet stylists! 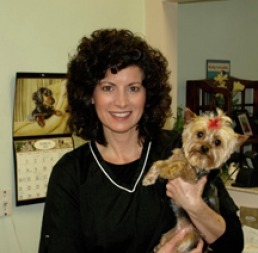 Bark 5th Ave, LLC and the owners, Kim and Jay Fontaine, are dedicated to quality, professional pet grooming. With a caring staff and friendly atmosphere, you and your pet will feel right at home. Contact Bark 5th Ave for all your pet grooming needs. Bark 5th Ave, LLC is dedicated to high quality, professional pet grooming. Our facility is clean with an open friendly atmosphere. We have a caring, experienced staff that will make you and your pet feel right at home.